The 5 red flags of a recruiting MLM were developed by Dr. Jon Taylor, the founder of the website Truth on MLM. He spent decades researching multi-level marketing companies like Mary Kay Cosmetics. He did a variety of research, but one of his really interesting projects was surveying hundreds of tax preparers about their MLM customers. He gathered data about sales to actual consumers, commission levels, and profits. I’ve taken his 5 red flags of recruiting MLMs and analyzed whether Mary Kay has the warning signs. Let’s see if you agree. 1. Would you, as a new recruit, be permitted and even encouraged to recruit other participants, who would in turn be encouraged to recruit others, and they still more, etc… from whom you could collect commissions and/or bonuses on what they buy or sell? Recruiting is where they always tell you the big money is made, right? Mary Kay ales directors depend upon recruits for their paychecks, and recruiting is a constant push from both corporate and directors. 2. Is advancement in a hierarchy of multiple levels of participants achieved by recruitment and/or by a combination of recruitment and sales volume, rather than by appointment, as in other work or sales settings? Advancement in Mary Kay can only be achieved if you recruit. Senior consultant, star recruiter, director, etc. all require recruiting. At the director level and above, there are requirements for recruiting and production levels from the recruits. 3. Are you being encouraged to make initial or ongoing purchases in order to take advantage of the “business opportunity,”and later to continue qualifying for advancement in (or payout in overrides and bonuses from) the MLM company? Even though there is little or no cost to “sign up” for the program, are there minimum volume requirements that must be met in order to advance to higher levels in the hierarchy or to receive greater commissions or bonuses at some level? Are you expected to pay for training seminars, workshops, audio or video programs, weekend retreats, etc. in order to stay in the good graces of your upline? In Mary Kay, they tell you that inventory is not required. Then they promptly try to convince you to buy inventory. Purchases of products are required in order to be considered “active,” and active status is necessary for various things in the company. As you’re moving up, you have to keep making minimum purchases in order to keep your recruits and to “qualify” to receive your commission. And of course, the “free” training in MK ends up being not free, as nearly every event or training opportunity requires some sort of fee. 4. Does the company pay overrides (commissions and bonuses) to distributors in a hierarchy of more than four levels? Mary Kay pays commissions to a recruiter, sales director, senior sales director, and NSD. In theory, that’s only 4 levels (which is bad enough). Various bonuses and incentives can make the pay go to more levels. 5. Would the total amount of commissions (or discounts, bonuses, etc.) paid by the company to the entire upline of a participant receive more than he/she would receive for actually making the sale? That depends in Mary Kay. In many cases, yes. Consider a $2,000 order by a recruit in a unit that had $10,000 wholesale volume for the month. The commission on that $2,000 order could include 13% recruiter +13% director + $200 volume bonus + $100 qualified recruit bonus + $100 unit development bonus + 5% senior sales director + 2% nsd. Total possible commission = $1,060. That’s 53% commission on the wholesale order. In theory, the seller could get a profit of $2,000 on the order, or 100%. But since we all know that many products are sold at a discount, the math suggests that the profits to the seller may be much smaller, and the upline actually makes more on the order than she does. 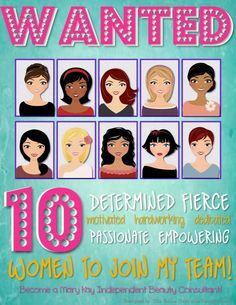 Someone trying to recruit you into Mary Kay is going to tell you that they’re NOT a recruiting MLM. She’ll say they’re in the business of selling products, and recruiting is just another way to make money. It’s a way to share a money-making opportunity with others, but it’s not really the focus on the company. That’s a lie. If you’ve hung around Pink Truth for a while, you get the idea that Mary Kay is very focused on recruiting because it’s what keeps the company alive. Who is more credible… the person trying to recruit you, or the people here who have no vested interest in whether or not you join Mary Kay? If they tell you the ‘real money” is in recruiting, they are admitting that you can’t make a living selling the products.